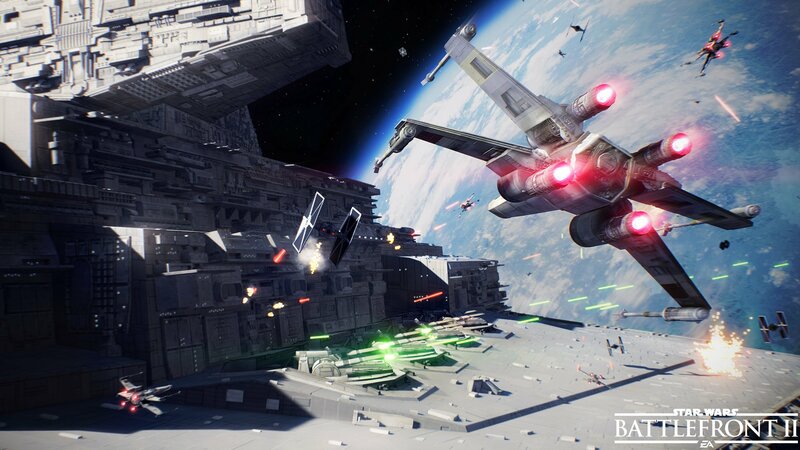 EA finally pulled back the curtain on Star Wars Battlefront II‘s multiplayer last week with a gorgeous demo for fans to devour, but if, like us, you have an insatiable appetite for more, you might want to give this latest footage a look. 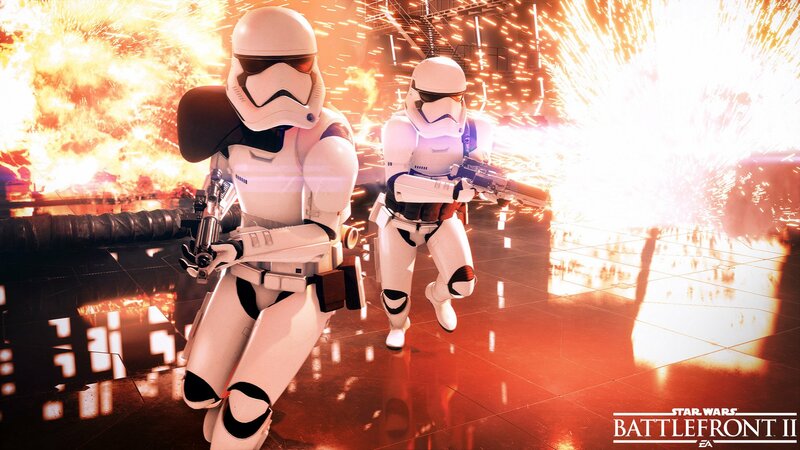 As was the case with EA’s aforementioned showcase, this new gameplay takes place within Naboo’s war-torn capital city of Theed, the beautiful backdrop against which hordes of Federation Droids and Clone Troopers battle it out for control of the throne room. 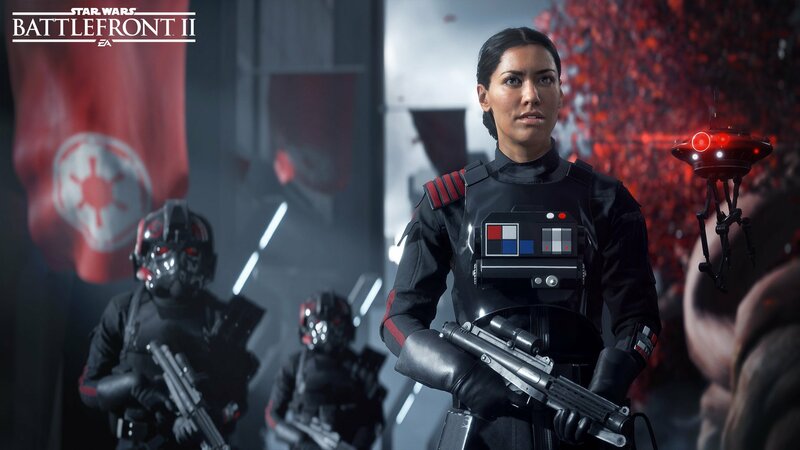 The visual showcase, which comes in at over 15 minutes long, arrives by way of YouTube channel MMA & Music (via ComicBook.com) and provides a more in-depth look at Battlefront II‘s objective-based assault mode, as well as some of the shooter’s special characters. 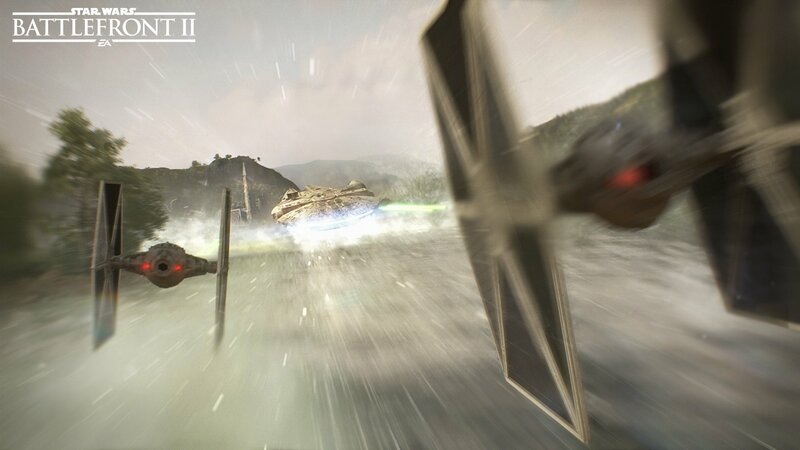 Darth Maul and Rey both get a considerable amount of screen time here, the Sith and would-be Jedi respectively performing all sorts of graceful combat maneuvers against their enemies. Maul, with his iconic double-bladed Lightsaber in hand, carves a bloody path through several Troopers within the walls of Theed’s throne room, utilizing various Force abilities for those opponents who are just out of melee range. Likewise, Rey doles out her fair share of carnage, effortlessly cutting droids down like a knife through butter all while attempting to wrestle control of the map away from aggressors. 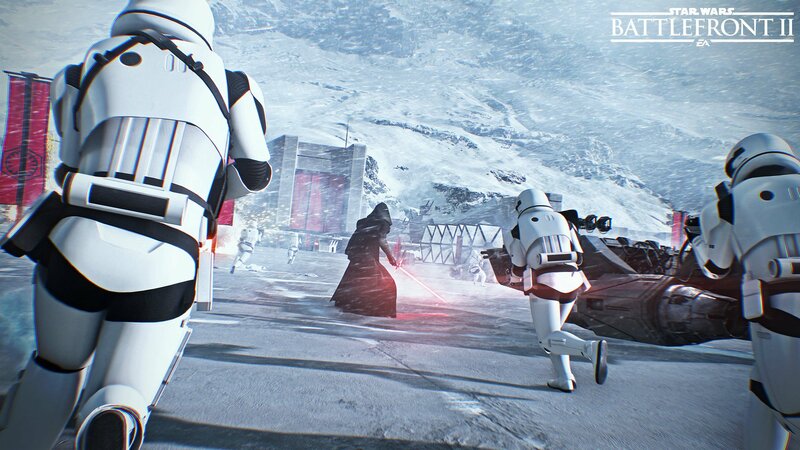 Regardless of which viewpoint we’re watching the action from, Star Wars Battlefront II‘s high level of polish continues to jump out at us; the attention to detail equally as impressive. But enough from us, we’ve waffled on too much already. 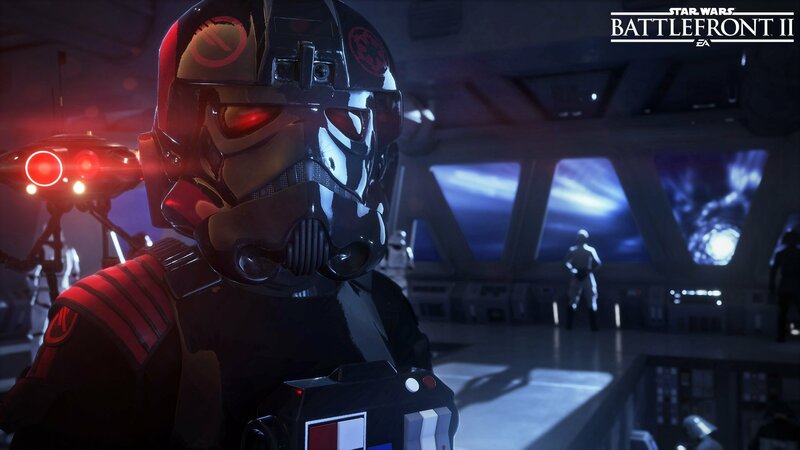 Check out the full uncut footage for yourselves up above and then bemoan the fact that there’s still several months to go until the sequel rolls out across the globe – though rest easy knowing that EA will surely be showing us a lot more before then. 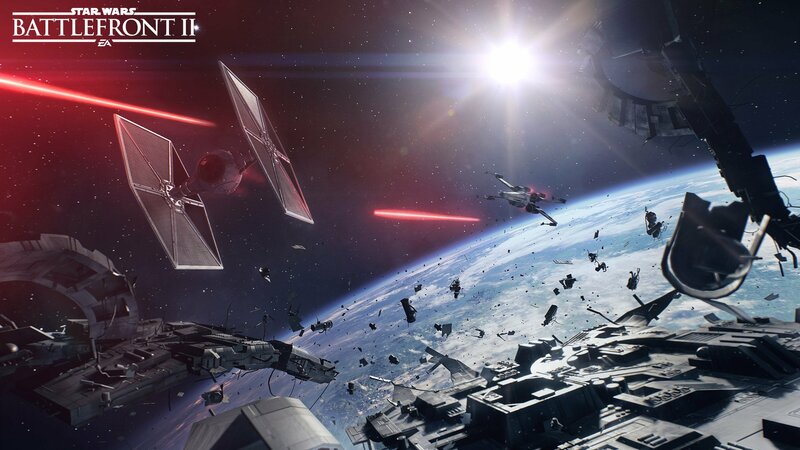 Star Wars Battlefront II launches November 17 for Xbox One, PlayStation 4 and PC, with a beta planned sometime prior to launch. EA has yet to provide a specific date for the trial, but when we know, you’ll know. Stay tuned.